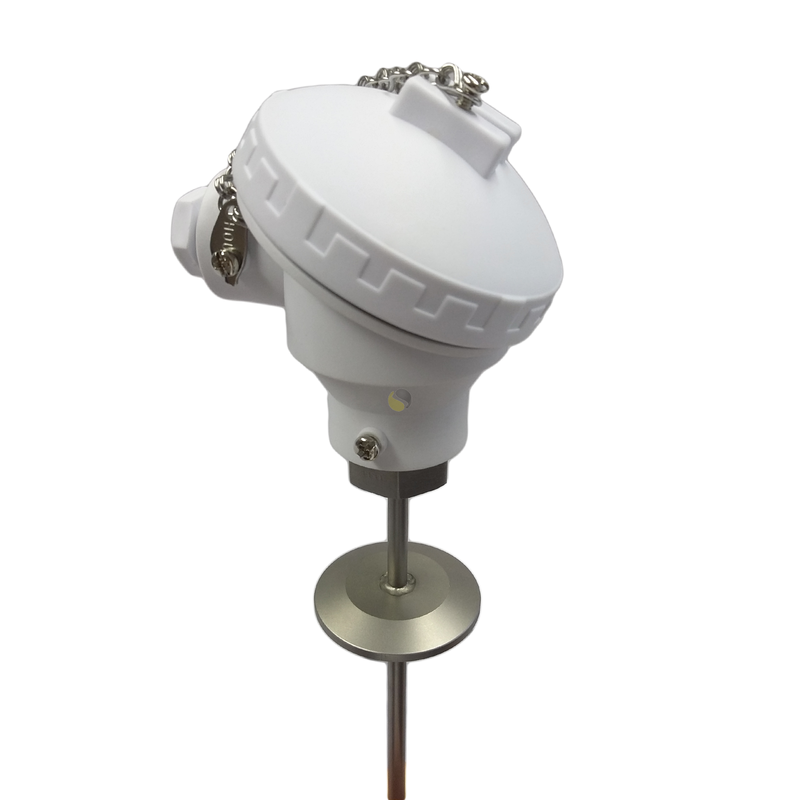 A Pt100 resistance thermometer with Tri-Clamp process connection for hygienic applications. 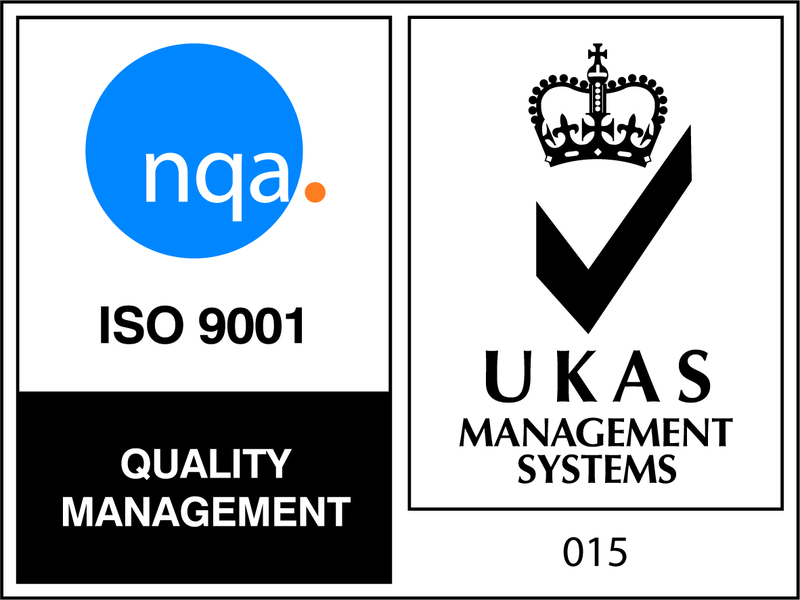 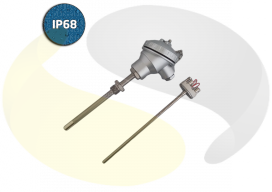 This range of high quality RTD sensors is ideal for hygienic applications, such as temperature measurement in dairy, food or pharmaceutical manufacturing or processing. 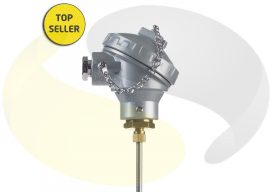 The RTD sensor features a 6mm diameter 316 stainless steel stem with Pt100 Class A sensor below a standard process fitting, available in 1, 1.5 and 2 inch Tri-Clamp flange. 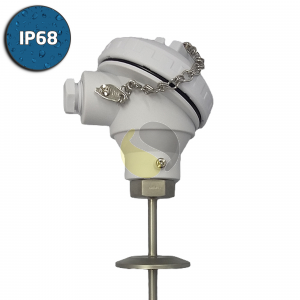 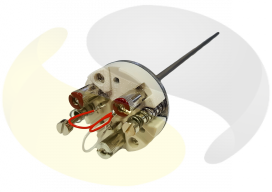 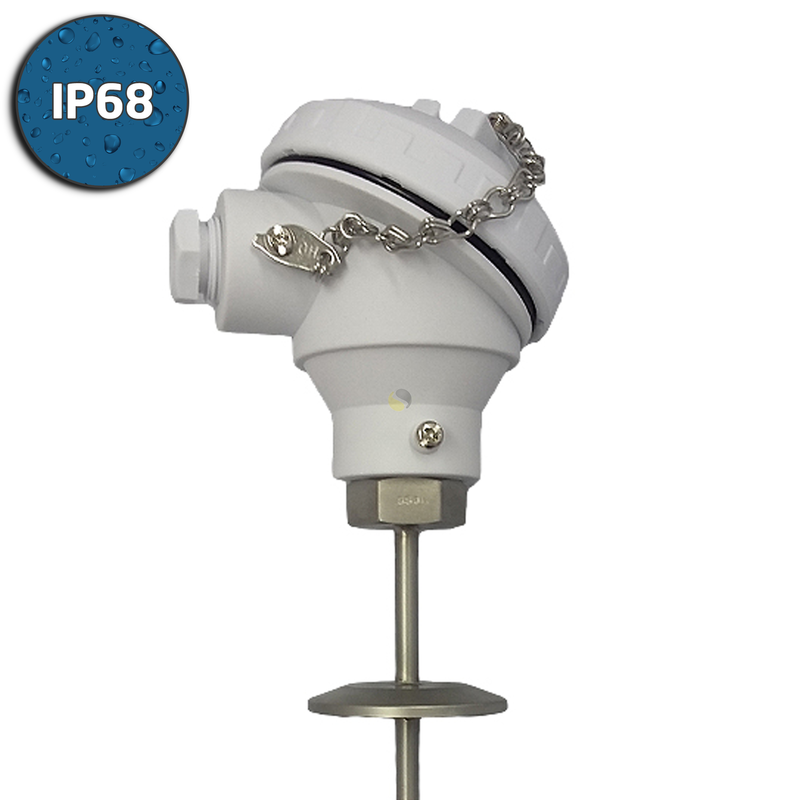 Various immersion lengths are available to suit your process with a 50mm stand-off below an IP68 (KPP) white FDA approved terminal head, ideal for wash down applications.